Our highly skilled technicians do the job correctly and ensure they install every auto glass promptly for the first time. Furthermore, we don’t waste your time. We work harder to ensure we complete all your glasses repair installations on the same day. Above everything, we value our customer satisfaction. Quality and professional services to our customers are our pride. For every McKinney windshield replacement, we are keen to transfer your old registration, toll tags, and inspections to your new windshield. Moreover, we use only certified technicians. We employ experts who have at least ten years of experience of doing the work. Furthermore, we give a lifetime warranty for every glass we repair or install. When should you consider replacing your windscreen? Any damages are not on the edge of the windscreen. At least three cracks or chips are visible on the screen. When it comes to Texas windshield service, we deal with professionals. We are the best company in town for all McKinney auto glass replacements. With no doubt, our experts who deal with replacement have at least nine years of experience. As a result, we don’t experiment. We do a perfect job to ensure your replacement is on time and done the correct way. In addition to expertise, our technicians are at per with the latest procedures, practices, and styles. This ensures perfect repair every time. We give assurance that we will fix your glass replacement in the most appropriate way. When it comes to installations, we abide with all federal vehicle safety standards; thus you are assured your car is safe. Equally, we follow the only factory approved installation methods to guarantee quality. Above all, we make use of the latest, most excellent and advanced equipment, adhesives and tools. Since customer satisfaction is our top priority, we back all our installations with a guarantee. At Texas windshield service, we value the quality services we offer to you and your car. We use only premium materials for each installation. Also, we have access to all the right glasses for any vehicle on the road. Furthermore, we supply all types, and safest auto glass to ensure our clients get world-class services. We make sure all our repairs and replacement have warrant thus increasing your confidence in our services. Our team offers both roadside and in-house services. It does not matter whether you have an appointment or you need an emergency replacement. We handle all your needs on time upon request. When you come to our shop, or you call us, we will make an effort to get you back on the road on time. For our roadside assistance, our truck will get to you within the shortest time possible. We assure you satisfactory repair and replacement services for your windscreens. With Texas windshield services, the process is simple. We make use of original equipment manufacturers replacement glasses. Also, we obtain glass approved sealers to ensure our clients get the best repair value for their money. Once you call us for a replacement, we schedule the appointment immediately with one of our expert technicians. Appointed technicians will travel and meet you wherever you are and get your windscreen replaced. For quality services, our technicians carefully get the old screen and seal removed. The area is thoroughly cleaned, and prepared for the application of a new seal. 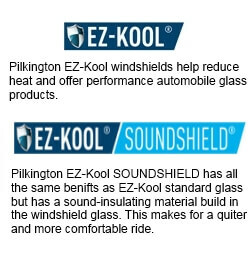 Once the seal application is complete, we carefully install the replacement auto glass. We get the job completed within the shortest time. For all auto glass replacements, you can rest assured Texas windshield services offer the most affordable prices in McKinney. Though some part might be expensive, you can trust us to work hard to ensure we keep your costs minimal. We value the quality and satisfaction of the services we offer to you. As a result, we get our glasses from respected and trustworthy distributors in Texas to make sure we do our job in a timely and cost-effective manner. Contact us today and get our most affordable, cost-effective and dependable windshield replacement services. We also have affiliates for auto glass in Lewisville and surrounding cities.